Final Fantasy V has finally arrived in App store, Twenty years after the original FINAL FANTASY V release on SNES. Customize characters with an unprecedented degree of freedom with the job and ability system 26 unique job classes! 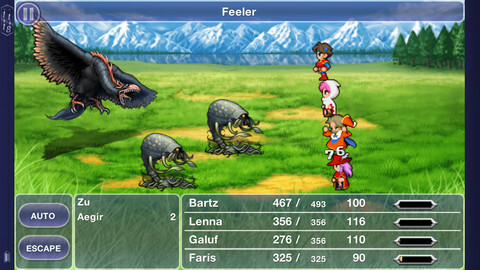 Touch-screen controls and active-time battle system are optimized for fluid combat on mobile devices. Apps Apple iPad iPad Apps Final Fantasy V For iPhone & iPad Released, Download Now!